INDUSTRY.co.id - Jakarta - The government is looking for ways to lower industrial gas prices from about US $ 9 per million metric British thermal unit (MMBtu). One way is to reduce Non-Tax State Revenues (British thermal unit (MMBtu)) from the gas sector. However, the move will not significantly reduce gas prices. 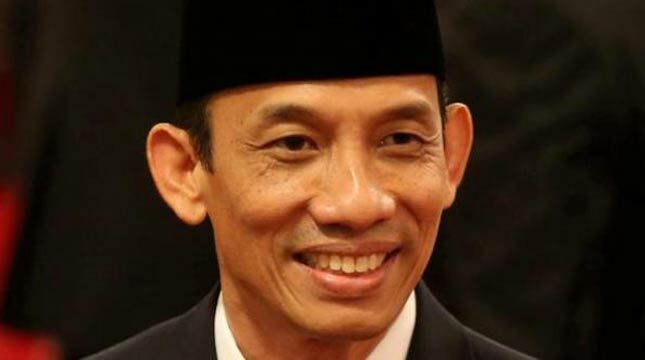 Deputy Minister of Energy and Mineral Resources (ESDM) Arcandra Tahar said, with the pruning of PNBP, gas prices will only fall to US $ 0.7 per MMBtu or about 7-8% of the current price of about US $ 9 per MMBtu. Meanwhile, Director General of Chemical, Textile and Multifarious Industry (IKTA) of the Ministry of Industry Achmad Sigit Dwiwahjono said, by reducing PNBP, gas price could be US $ 6.3-7 per MMBtu upstream. However, the user industry is finally getting prices in the range of US $ 8 per mmbtu. "The price of that is still not appropriate Perpres decrease in gas prices," said Sigit in Jakarta, some time ago. He added that the calculation of the amount of PNBP trimming becomes the authority of the Ministry of ESDM. Most importantly, gas prices can be in accordance with Presidential Regulation no. 40 of 2016 concerning Gas Pricing. According to him, at this time, the industrious energy industry still get gas prices ranging from US $ 9-10 per mmbtu. "We do not have a detailed account yet, because of the EMR's calculation, we are waiting for ESDM to reduce its toll fee," Sigit said. The alternative to cutting PNBP, according to Sigit, is most likely to be compared with gas imports, which had previously been proposed. The reason is, to import LNG infrastructure to channel to each company must be ready. Provision of this infrastructure requires considerable investment. "There should be a floating terminal, who wants to invest it, and construction cannot be fast, we want gas prices to be more competitive because if we see competition with other countries very tight, and the price of gas in competitive countries is more competitive" Sigit said.